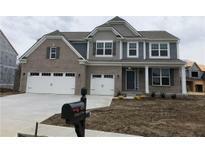 Find Brownsburg, IN New Homes for sale. View Photos, Maps and MLS Data Now! Photos shown may be artist rendering, model home, or of same model. MLS#21630717. CENTURY 21 Scheetz. Oaks At Windridge - Photos shown may be an artist rendering, model home, or the same model. 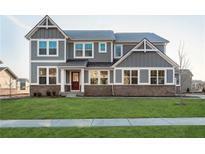 MLS#21625553. CENTURY 21 Scheetz. 10 year transferrable warranty and customer care program. June Completion! MLS#21622869. Mint2Sell Realty, Inc..
Oaks At Windridge - Photos shown may be an artist rendering, model home, or of the same model due to current construction stage. MLS#21617544. CENTURY 21 Scheetz. Oaks At Windridge - Photos shown may be an artist rendering, model home, or of the same model due to current construction stage. MLS#21616166. CENTURY 21 Scheetz. Master Bath with dual sinks, walk-in shower, and linen closet. 2-car Garage with extra storage. MLS#21615315. Berkshire Hathaway Home. Oaks At Windridge - Photos shown may be an artist rendering, model home, or of the same model. MLS#21613301. CENTURY 21 Scheetz. Oaks At Windridge - Photos shown may be an artist rendering, model home, or of the same model. MLS#21609412. CENTURY 21 Scheetz. Oaks At Windridge - Completion 3/19 Photos shown may be an artist rendering, model home, or the same model. MLS#21608778. CENTURY 21 Scheetz. Oaks At Windridge - Completion 2/19 Photos shown may be an artist rendering, model home, or the same model. MLS#21606623. CENTURY 21 Scheetz. Oaks At Windridge - Photos shown may be an artist rendering, model home, or the same model. MLS#21605588. CENTURY 21 Scheetz. Maple Grove - Builder's office is currently in garage of another property in the nghd. MLS#21589585. Carpenter, REALTORS®. Birch Run - Owner's suite features vaulted ceiling, walk in closet, dual raised vanities, walk in ceramic tile shower. Hall bath has 2 vanities MLS#21570091. 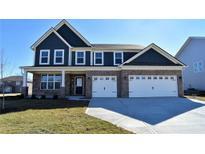 M/I Homes of Indiana, L.P..
Creek By The Woods - 9' ceilings. Dusk to dawn coach lights. MLS#21565509. Carpenter, REALTORS®.